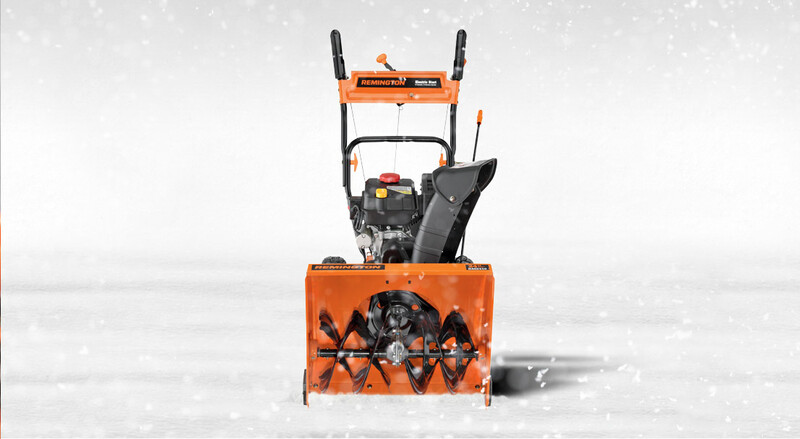 The powerful 208cc POWERMORE® OHV 4-cycle engine snow thrower works as hard as you do with a six forward and two reverse system that saves you time and effort. The 208cc POWERMORE® OHV Engine works as hard as you do and is the solution to moderate to heavy snowfall conditions. In-dash headlight provides improved visiblity and lumination of work area. Kids get snow days – you don’t. Start removing Mother Nature by force with the push of a button on the 208cc OHV POWERMORE® engine. Then maneuver this mean machine with ease on any of the 6 forward and 2 reverse speeds, while the tough Snow Hog tires keep you steady.